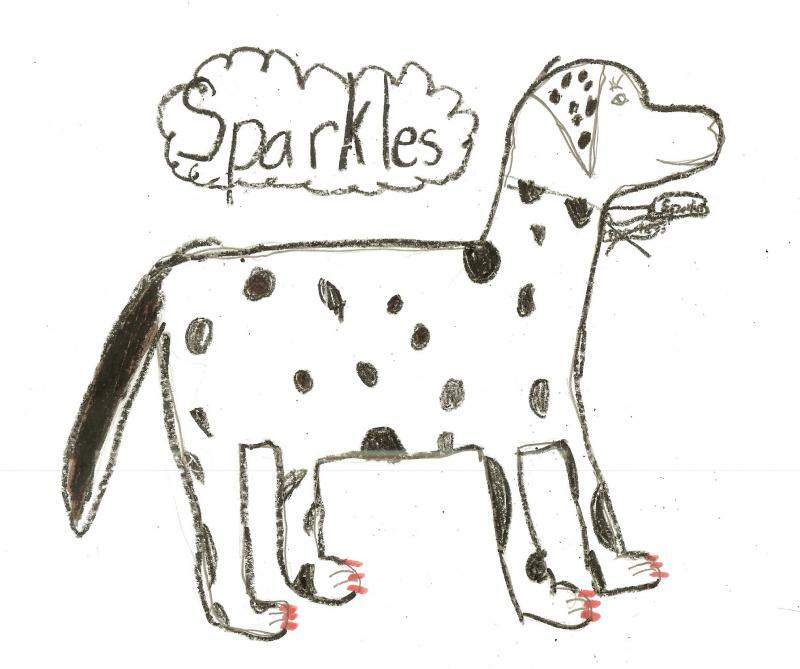 Visit Sparkles' and Firefighter Dayna's webpage for lots of fun, games and activities! Click on the pictures below to visit the sites! 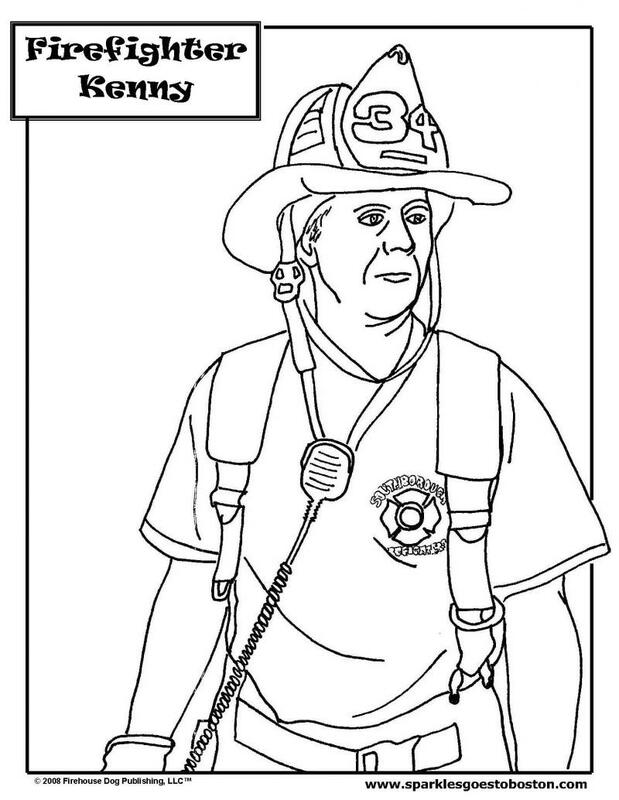 Draw a picture of Sparkles and/or Firefighter Dayna and show off your artwork! Want to mail it? Please send us an email and we will tell you where to send your artwork. Would you like to know the latest about Sparkles and her big fire safety adventures? Or, how about fire safety tips shared by Sparkles? New fire safety videos and more on her new e-newsletter. Sign up today! To see a the first issue, click on the button below. Click on the "Subscribe via RSS Feed" link at the bottom to be added to Sparkles' list. We promise not to share your email to outside parties. "Ask a Firefighter" is brand new! Sparkles invites children to submit their questions that they have for firefighters and a real live firefighter from across the country will answer their questions! and I will pick one lucky picture to be featured on my blog in October! Click on the picture of Spanner to watch her new video! Click on the picture below to watch a special video! Only $4.99 plus shipping and handling. Now you can be one of the first to own my new audio book! Spending the day with me is so fun! There is even a bonus song called, Sparkles' Theme Song! 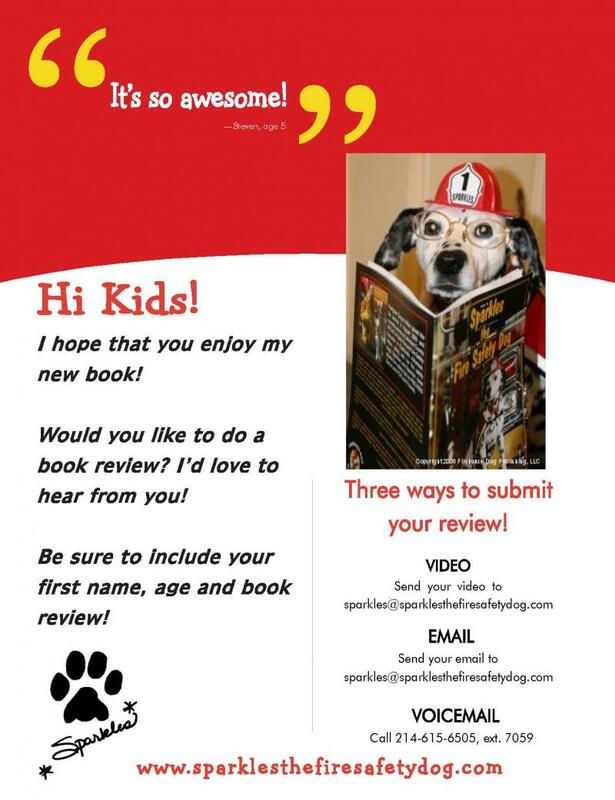 Kids, tell us what you think of our book! Write a review for our page, or send us your video link. Our guidelines are simple! We would love to hear from your children (students). Read their published review online on our webpage. Please put "Kids Review" in the subject heading.